Dr Haus offers consultations for Botulinum Toxin Injections (often called ‘Botox’ for short) to remove lines and wrinkles at his clinic on Harley Street in London. Anti-wrinkle injections are used by Dr Haus to improve the appearance of wrinkles and lines on the forehead, between the eyebrows and around the corners of the eyes. Botox (which is also the name of one of the brands of medicines containing Botulinum Toxin) are muscle relaxants that are injected intra muscular, using a very fine needle, similar in size to what is used in acupuncture. The injections work to block the synapse, or junction between the nerve and muscle, and in a matter of days it will have the effect of reducing the muscle activity that the causes lines and wrinkles. It is important to appreciate that Botulinum Toxin is a powerful drug and a Prescription Only Medicine in the United Kingdom. This means that before Botox can be injected, a consultation must occur with someone who is legally authorised to prescribe prescription medicine, and they must consider it to be an appropriate treatment for that person. The use of Botox to improve the appearance of moderate to severe glabellar lines (the region between the eyebrows) was first approved in 2002 by the United States Food and Drug Administration. In the years that followed, the ‘frozen upper face’ became synonymous with people who had been injected with Botulinum Toxin. However, since then the effect of this treatment on the facial nerves and muscles has been extensively studied and become much better understood. Botulinum Toxin injections are now used to relax negative muscle activity and harmonise overall facial expression. Facial lines and wrinkles that may make a person look tired, or even angry, can now be reduced and softened with anti-wrinkle injections. The American Society for Aesthetic Plastic Surgery (‘ASAPS’) estimates that there were almost 4.6 million treatments involving Botulinum Toxin carried out in the United States in 2016. 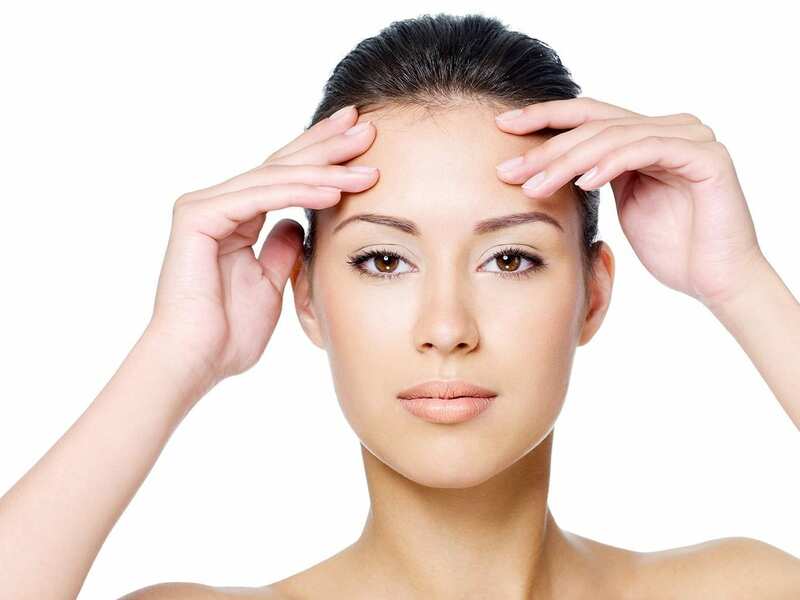 Is A Consultation Necessary Before Botox Treatment? Yes. Prior to the treatment of any patient at our clinic with anti-wrinkle injections, Dr Haus will carry out a consultation to ensure that it is an appropriate treatment for their skin and medical history. Dr Haus has many years of experience in using Botox to treat wrinkles on the forehead, between the eyebrows and around the corners of the eyes. Number of treatments required: Can be repeated approximately every 4 months. Results visible: Maximum results will be achieved after 10-14 days. To find out whether anti-wrinkle treatments may be suitable for you or to book a consultation with Dr Haus, please telephone us on +44 20 7935 6358, send us an enquiry on the Contact Us Page or email appointments@drhausdermatology.com. Responses to anti-wrinkle treatments will vary from person to person and may even vary in the same person over time. It is for this reason that results are not guaranteed. Botox is so ubiquitous it’s often applied ‘by numbers’, with set quantities administered to certain points on the face, all dictated by generic manufacturer’s instructions. But Dr Haus is a Da Vinci in a sea of painter-decorators. Careful judgement of exact amount and position is where his aesthetic comes into its own. Experience and a good eye are worth their weight in gold, and beautiful people in the public eye can’t afford to look anything less than perfect. Or—worse—changed or ‘worked upon’. Dr Haus achieves both the former and neither of the latter effortlessly.